Two-time Academy Award-winning actress Meryl Streep (right), singer Barbara Cook, singer and songwriter Neil Diamond, cellist Yo-Yo Ma, and saxophonist and composer Sonny Rollins will receive this year's John F. Kennedy Center for the Performing Arts' Kennedy Center Honors. The Kennedy Center Honors (website) ceremony will be held on Sunday, December 4, on the Kennedy Center Opera House stage. The Kennedy Center Honors medallions will be presented on Saturday, Dec. 3, at a State Department dinner hosted by Secretary of State Hillary Clinton. An edited version of the ceremony will be broadcast on CBS for the 34th consecutive year as a two-hour primetime special on Tuesday, Dec. 27, at 9:00 p.m. (ET/PT). The event will be produced by George Stevens Jr. and Michael Stevens. “The Honors recipients recognized for their lifetime contributions to American culture through the performing arts—whether in dance, music, theater, opera, motion pictures, or television—are selected by the Center's Board of Trustees. The primary criterion in the selection process is excellence. The Honors are not designated by art form or category of artistic achievement; the selection process, over the years, has produced balance among the various arts and artistic disciplines. 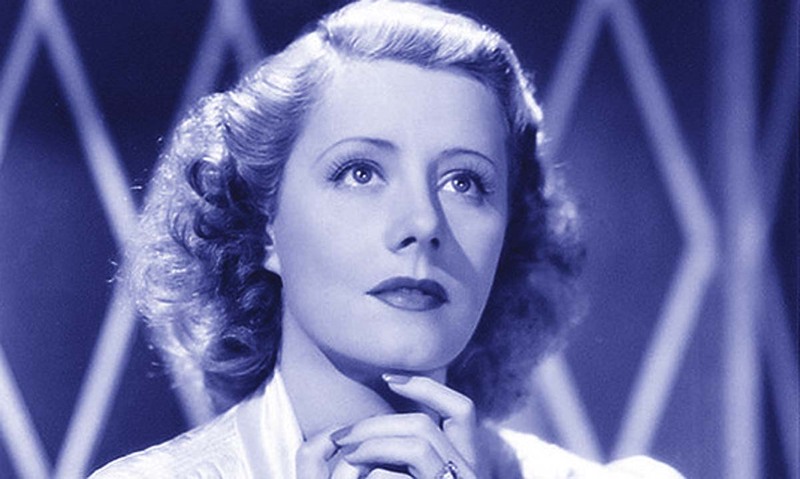 In addition to the aforementioned names, past Kennedy Center Honors recipients include Marian Anderson, Fred Astaire, Ella Fitzgerald, Henry Fonda, Helen Hayes, Martha Graham, Tennessee Williams, James Cagney, Bette Davis, Lynn Fontanne, Cary Grant, Lillian Gish, Myrna Loy, Harry Belafonte, and Claudette Colbert. Also: Katharine Hepburn, Ginger Rogers, Rise Stevens, Jule Styne, Hume Cronyn, Jessica Tandy, Paul McCartney, Roger Daltrey, Billy Wilder, Paul Newman, Joanne Woodward, Barbra Streisand, Irene Dunne, Lauren Bacall, Bob Dylan, Charlton Heston, Elia Kazan, Frank Sinatra, James Stewart, and Shirley Temple. The Kennedy Center Honors have been handed out since 1978. Recipients hail from various branches of the American performance art world – including film, stage, music, and dance – even though performers more closely associated with British show business have managed to sneak in every now and then, e.g., Paul McCartney, Roger Daltrey, Elton John, Pete Townshend. Watching bits from the Kennedy Center Honors, I can only imagine what it must feel like to be all smiles while consorting with an American president you may have publicly criticized and/or despise in private. But that's show biz. As can be attested below, U.S. ethnic minorities and women are carefully represented on the Kennedy Center Honors list. Photo: Kennedy Center Honors. George Stevens Jr. quote via the New York Times. Glenn Close will be this year's distinguished recipient of the Donostia Lifetime Achievement Award at the San Sebastian International Film Festival, which runs Sept. 16–24, in the northern Spanish town. The Sept. 18 award ceremony will help to publicize the European premiere of the Close's latest project, the period drama Albert Nobbs. Directed by Colombian filmmaker Rodrigo García (son of Gabriel García Márquez), Albert Nobbs stars Close as a 19th-century female Dubliner who passes herself off as a man in order to eke out a living. Based on a short story by George Moore, Albert Nobbs was adapted for the screen by Close, Gabriella Prekop, and novelist John Banville. Albert Nobbs' world premiere will be held at the Toronto Film Festival in early September. Also in the film's cast: Mia Wasikowska, Aaron Johnson, Janet McTeer, Pauline Collins, Brenda Fricker, Jonathan Rhys Meyers, and Brendan Gleeson. 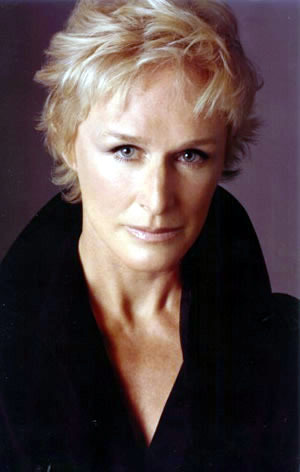 Glenn Close has been nominated for five Academy Awards, but she has never won. The last time was in the Best Actress category for Stephen Frears' Dangerous Liaisons back in 1988; she lost to Jodie Foster in The Accused. According to Oscar pundits, Close and The Iron Lady's Meryl Streep will wage a fierce battle for the 2012 Best Actress Oscar. For the record, Close's other Oscar nods were for The World According to Garp (1982, supporting), The Big Chill (1983, supporting), The Natural (1984, supporting), and Fatal Attraction (1987, lead). 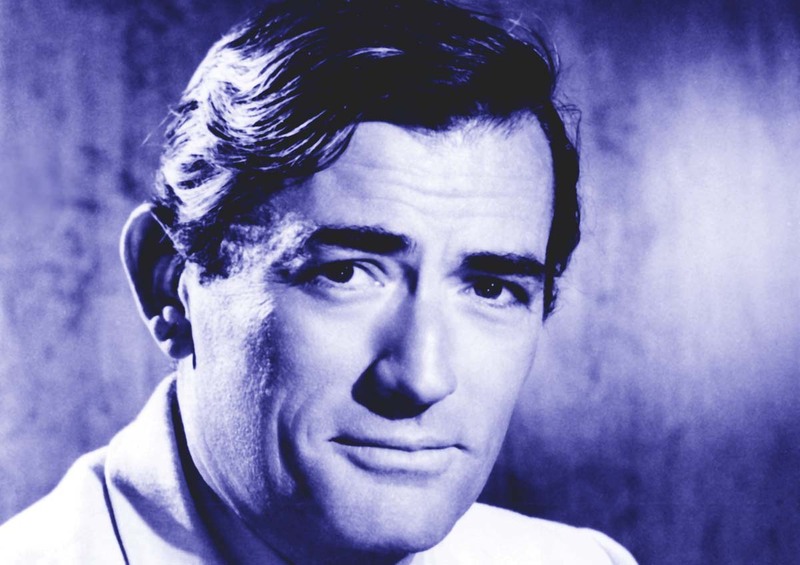 Past recipients of the Donostia Lifetime Achievement Award include the aforementioned Meryl Streep, in addition to Gregory Peck, Catherine Deneuve, Bette Davis, Susan Sarandon, Richard Gere, Jeanne Moreau, Max von Sydow, Glenn Ford, Claudette Colbert, Julie Andrews, Warren Beatty, and Woody Allen. Last year's winner was Julia Roberts. The fact that nearly every winner of San Sebastian's Donostia award has been a Hollywood celebrity is no mere coincidence. How else will international film festivals get the mainstream media and the vast majority of bloggers to notice their existence? Five-time Oscar nominee Glenn Close will receive the Donostia Lifetime Achievement Award at the 59th edition of the San Sebastian Film Festival. Why is the award called Donostia? Because that's the Basque name of the coastal town of San Sebastian, located in northern Spain's Basque Country. Source: Wikipedia / San Sebastian Film Festival website. Photo via Doctor Macro. 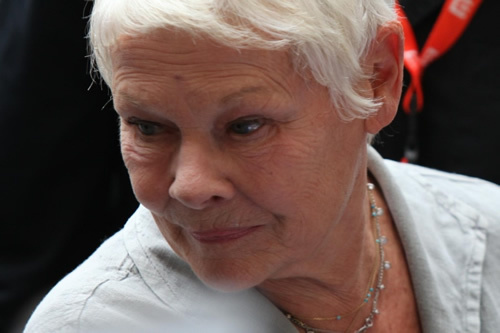 Judi Dench: Karlovy Vary Film Festival honoree. Yossi Madmoni's Israeli family drama Restoration, in which two brothers fight for the affection of both their father and the wife of one of the brothers, won the Crystal Award (worth $30,000) at the 2011 Karlovy Vary International Film Festival. Earlier this year, Restoration took home the Screenwriting - World Cinema Dramatic Award at Sundance. Written by Erez Kav-El, Restoration features Henry David, Sasson Gabai, Nevo Kimchi, and Sarah Adler. Martin Szulik's Czech-Slovak coming-of-age drama Gypsy won the Special Jury Prize, worth $20,000. Additionally, Gypsy received the European Cinemas Label Award, the International Federation of Film Societies Don Quixote Prize and a special mention for actor Ján Mizigár. The Best Actor and Best Actress awards went to, respectively, David Morse for his performance as an ex-con who takes his neighbor (Martin Donovan) hostage in Donovan's Collaborator, and Stine Fischer Christensen for her young actress cast in a production of Camille in Christian Schwochow's Cracks in the Shell. British actress Judi Dench was handed the Crystal Globe for Outstanding Artistic Contribution to World Cinema, while Bosnian composer Goran Bregovic and American actor John Turturro were honored with the President's Award. Hungarian filmmaker István Szabo headed this year's Karlovy Vary jury. Ján Mizigár received a Special Mention Award at the 46th Karlovy Vary International Film Festival for his performance as an adolescent confronted with difficult issues in Martin Sulik's Gypsy. The Czech-Slovak coming-of-age drama also won the Special Jury Prize, the European Cinemas Label Award, and the International Federation of Film Societies Don Quixote Prize. This tale of 14-year-old Adam who, after the death of his father, tries to find his way in life, bears the typical traits of the stories of dozens of adolescent Roma who grew up in the poor settlements of Eastern Slovakia. Adam's responsibility as new head of the family, which he is prepared to assume at the cost of personal sacrifice, is taken away by a person for whom Adam has no respect. When everything he believed in collapses around him and he is left alone to struggle with evil, he simply cannot find a way out. Photo: Karlovy Vary Film Festival. At the 46th Karlovy Vary International Film Festival, European Parliament member Olga Sehnalová, filmmaker Feo Aladag, actress Sibel Kekilli, and the Karlovy Vary Festival's artistic consultant Eva Zaoralová announced the ten films competing for the 2011 LUX Prize. Previous LUX Prize winners are: Fatih Akin's The Edge of Heaven / Auf der anderen Seite (2007), Jean-Pierre and Luc Dardenne's Lorna's Silence / Le silence de Lorna (2008), Philippe Lioret's Welcome (2009) and Feo Aladag's When We Leave / Die Fremde (2010). It's curious how a Parliament hosting so many xenophobic right-wingers has selected films expounding humanistic, “liberal” views. producing a 35 mm print or a digital cinema package per EU member state. On July 26, three finalist films will be unveiled at a press conference announcing their presentation at the Venice Film Festival's Venice Days sidebar. Following a series of month-long screenings at the European Parliament, the LUX Prize winner will be announced in Strasbourg in mid-November. The Producers Guild of America has announced the key dates for its 2012 PGA Awards: nominees will be announced on January 3; winners will be announced on January 21. Also worth noting, the number of nominees for the Outstanding Producer of Theatrical Motion Pictures award will remain ten; earlier this year, the Academy of Motion Picture Arts and Sciences announced that its number of Best Picture nominees would from now on range between five and ten, depending on the percentage of votes per film. Last year, Tom Hooper's The King's Speech won the PGA Award in the Outstanding Producer of Theatrical Motion Pictures, beating favorite The Social Network. The King's Speech went on to win the Best Picture Academy Award. However, PGA Award and Oscar winners don't always match. Since 2000, three PGA Award winners have failed to take home the Best Picture Oscar: Martin Scorsese's The Aviator (2004), Ang Lee's Brokeback Mountain (2005), and Jonathan Dayton and Valerie Faris' Little Miss Sunshine (2006). The Producers Guild has also announced that it has expanded the number of its competitive television categories. Additions include PGA Awards for news, sports, and children's programming, while reality television will be divided into three categories: non-fiction, competition and live entertainment/talk television. And finally, there'll be a new PGA Award for web series. Tony Krawitz's The Tall Man. The first batch of nominees for the first Australian Academy of Cinema and Television Arts (AACTA) Awards, an upgraded version of the Australian Film Institute Awards, has been announced. The nominations are in the Best Documentary, Best Short Animation, and Best Short Fiction Film categories. Best Feature-Length Documentary: Life in Movement, Mrs. Carey's Concert, Shut Up Little Man! An Audio Misadventure, and The Tall Man. Best Short Fiction Film: Adam's Tallit, Cropped, The Palace, and The Telegram Man. Best Short Animation: Forget Me Not, The Missing Key, The Moment, and Nullabor. Filmmaker Sophie Hyde has two movies in the running for Best Feature-Length Documentary: Life in Movement, which she co-directed with Bryan Mason, and Shut Up Little Man! An Audio Misadventure, produced by Hyde and directed by Matthew Bate. Bob Connolly and Sophie Raymond's Mrs. Carey's Concert, about a dedicated (obsessed?) high-school teacher who every two years organizes concerts at the Sydney Opera House, has earned more than AUD$1 million at the Australian box office. Tony Krawitz's feature debut The Tall Man – not to be confused with the Jessica Biel film of the same title – will be screened at the upcoming Toronto International Film Festival. The title of Krawitz's film refers to Christopher Hurley, a white Queensland cop accused of killing an Aboriginal man held in custody for swearing at him. Queensland police then tried to cover up the case. Hurley was eventually acquitted of manslaughter in 2007. The nominated movies and the 23 eligible narrative features for the 2011 AACTA Awards can be viewed at the AFI/AACTA Festival of Film in Sydney and Melbourne. The festival runs Oct. 6–Nov. 14. Nominees in the feature film, television and other non-feature categories will be announced in late November. The Australian Academy of Cinema and Television Arts was launched by the Australian Film Institute on Aug. 18. Oscar winner Geoffrey Rush is the Academy's current president. Good for her! Maybe an Oscar next?? Congrats! I can't wait to see her in Donostia! It's a beautiful city, I visited in november, so charming!